The Governor of Ekiti, Ayodele Fayose, says President Muhammadu Buhari has now become a part-time and ceremonial President who is only seen during the Friday Jumat service at the Presidential Villa. Fayose, who said Buhari, like any old man, was susceptible to illness, said the President would do well to go and take proper care of his health and allow the Vice-President, Yemi Osinbajo, to constitutionally act as the President. 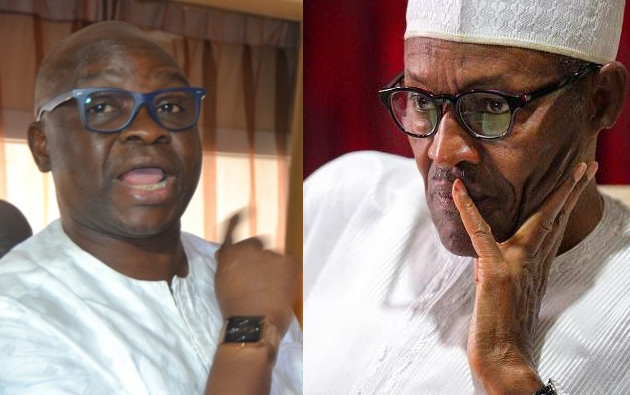 “But it is doubtful if those cabals that are obviously running their own Presidency within President Buhari’s Presidency will allow him to take a long vacation, probably outside Nigeria to take care of himself,” Fayose said. Fayose insisted that Nigerians must hear the voice of their President and see him physically, not through surrogates or the cabal operating behind the scene.